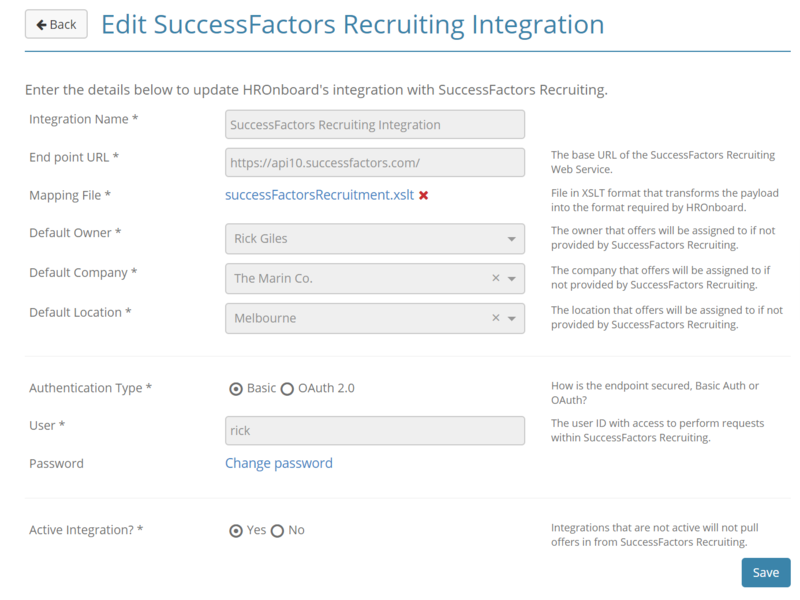 Integration has been added for SuccessFactors Recruiting module so that once a candidate has been selected (status is set to 'Ready to Hire') they will automatically be imported into HROnboard. A default Owner, Company and Location must be set in case this information doesn't come through the mapping file. 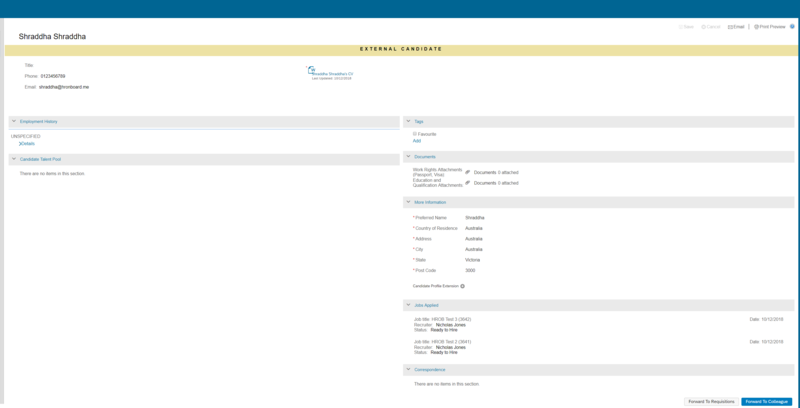 Integration will be polled every 15 minutes, however, it can be manually synced on the integrations page.